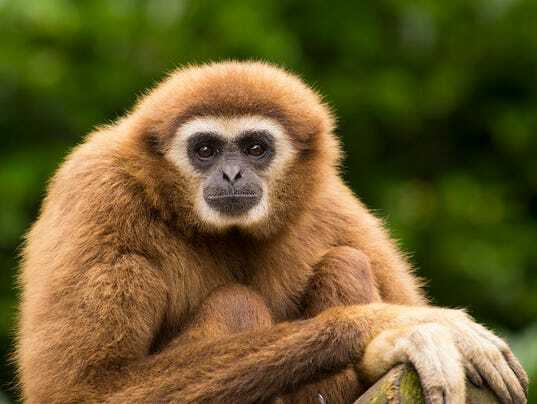 A previously unknown genus of gibbon may be the first ape species to be driven to extinction by humans, according to a new report published in Science magazine. The publication says the tomb of a Chinese noblewoman contained the skull and jaw of gibbon unlike any species previously known. That has led the survey’s author to believe there may have been more types of ancient primates in China than previously believed, the publication says. It “may be the tip of the iceberg,” Samuel Turvey, the report’s author, told Science. The discovery comes from a tomb believed to be over 2,000 years old that may have been built for the grandmother of China’s first emperor, the publication said. Today, gibbons aren’t found in the region. The species may have lived on until the 1700s, an abstract for the report says. It has been named Junzi imperialis. The Imperial Chinese revered gibbons, thinking them to be more noble than monkeys, which were believed to be mischievous. Gibbons were often pets for nobles, the magazine says. This is the first time a gibbon has been found in a tomb, the New York Times reports. Keeping gibbons as pets could have contributed to the species’ demise, Susan Cheyne told the publication. Cheyne works at Oxford Brookes University as an associate lecturer in primate conservation. She was not involved in the report but has worked with its authors, the Times reports. She told the Times that the gibbon would likely have been captured as a “small and cute and fluffy” youngster. That might have meant killing its mother. Keeping gibbons as pets isn’t the only harm humans may have caused the species. Deforestation has shrunk the gibbons’ habitat, Science reported. Some current species have shrunk to as few as two dozen.